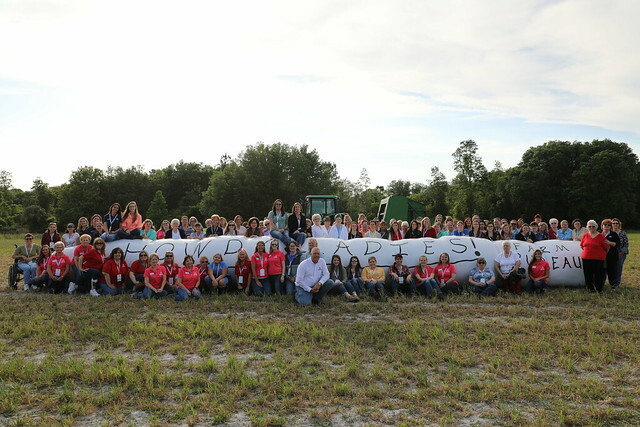 Thank you for attending the 2019 Florida Farm Bureau Women’s Leadership Conference! March 28-30, 2019 was “A Time to Bloom” at the Orlando Marriott Lake Mary. Women from all across the state of Florida came together to network, discuss issues important to the agriculture industry, refine their leadership skills, have fun and made memories! This year’s conference keynote speaker was Karen Eddington from Northern Utah, who will bring her dynamic personality to discuss work-life balance, succeeding under pressure and stories to relate and laugh at the craziness of life. With farm tours of the local area, breakout sessions and educational activities, this conference also had a fun DIY style social activity where everyone gets to take home a fun surprise! This conference recognized the hard work of our County Farm Bureau Women’s Programs, learn to be better women leaders for the agriculture industry – from home to church, to work, and enjoying the company of other amazing women from around Florida! Miss this year’s fun? Be sure to save the date for next year’s conference on March 19-21, 2020 in Melbourne, Florida!